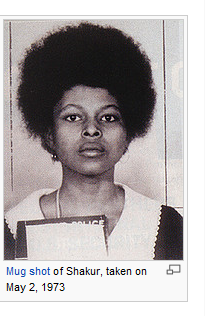 In Buford v. News Corp, complaint here the plaintiff photographer has sued Fox News and Dow Jones over the use of an allegedly rare photograph of the fugitive Assata Shakur (aka Joanne Chesimard). According to the complaint, there is a one million dollar reward out for Shakur by the FBI because she killed a NJ State Trooper in 1973. She was granted asylum by Cuba. The photographer travelled to Cuba and took Shakur's photographer. Because of the difficulty of accessing Shakur, the photograph is alleged to be very valuable. The O'Reilly Factor on Fox and the Jon Stewart show allegedly used the photograph with a caption mentioning the murder of the state trooper. Fox News criticized the Obama Administration for inviting rapper Common who had glorified Shakur's murder of the state trooper in a song, story here. 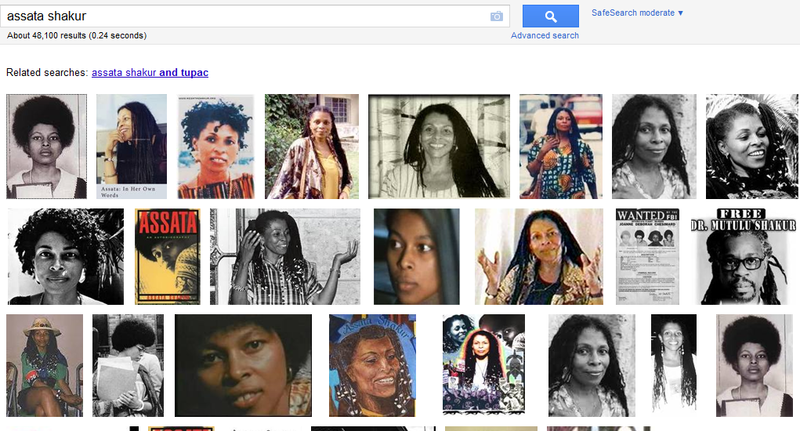 More from assata.org, in which Assata discusses a "Nazi subculture" in the New Jersey police here. The complaint claiming copyright infringement is here. 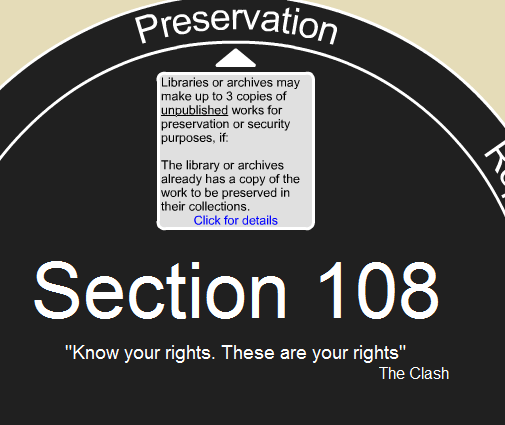 Via @spellboundblog, you can find a "Section 108 Spinner" here. 17 USC 108 governs reproductions by libraries and archives. While not exactly under the "fair use" section of the Copyright Act 17 U.S.C. 107, Section 108 provides a lot more detailed guidance for librarians and archivists in determining what types of uses are fair or reasonable. The Section 108 Spinner permits a librarian to create a PDF that shows the librarian has considered the proper factiors under 17 U.S.C. 108. (3) the reproduction or distribution of the work includes a notice of copyright that appears on the copy or phonorecord that is reproduced under the provisions of this section, or includes a legend stating that the work may be protected by copyright if no such notice can be found on the copy or phonorecord that is reproduced under the provisions of this section. (2) any such copy or phonorecord that is reproduced in digital format is not otherwise distributed in that format and is not made available to the public in that format outside the premises of the library or archives. (2) any such copy or phonorecord that is reproduced in digital format is not made available to the public in that format outside the premises of the library or archives in lawful possession of such copy. For purposes of this subsection, a format shall be considered obsolete if the machine or device necessary to render perceptible a work stored in that format is no longer manufactured or is no longer reasonably available in the commercial marketplace. (2) the library or archives displays prominently, at the place where orders are accepted, and includes on its order form, a warning of copyright in accordance with requirements that the Register of Copyrights shall prescribe by regulation. (4) in any way affects the right of fair use as provided by section 107, or any contractual obligations assumed at any time by the library or archives when it obtained a copy or phonorecord of a work in its collections. (2) engages in the systematic reproduction or distribution of single or multiple copies or phonorecords of material described in subsection (d): Provided, That nothing in this clause prevents a library or archives from participating in interlibrary arrangements that do not have, as their purpose or effect, that the library or archives receiving such copies or phonorecords for distribution does so in such aggregate quantities as to substitute for a subscription to or purchase of such work. (h)(1) For purposes of this section, during the last 20 years of any term of copyright of a published work, a library or archives, including a nonprofit educational institution that functions as such, may reproduce, distribute, display, or perform in facsimile or digital form a copy or phonorecord of such work, or portions thereof, for purposes of preservation, scholarship, or research, if such library or archives has first determined, on the basis of a reasonable investigation, that none of the conditions set forth in subparagraphs (A), (B), and (C) of paragraph (2) apply. (C) the copyright owner or its agent provides notice pursuant to regulations promulgated by the Register of Copyrights that either of the conditions set forth in subparagraphs (A) and (B) applies. (3) The exemption provided in this subsection does not apply to any subsequent uses by users other than such library or archives. (i) The rights of reproduction and distribution under this section do not apply to a musical work, a pictorial, graphic or sculptural work, or a motion picture or other audiovisual work other than an audiovisual work dealing with news, except that no such limitation shall apply with respect to rights granted by subsections (b), (c), and (h), or with respect to pictorial or graphic works published as illustrations, diagrams, or similar adjuncts to works of which copies are reproduced or distributed in accordance with subsections (d) and (e). 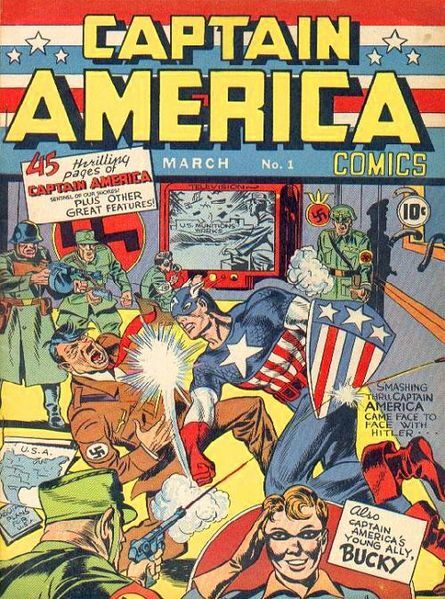 In Marvel v. Kirby, 10 civ. 141 (SDNY July 28, 2011), District Judge Colleen McMahon of the Southern District of New York determined that Jack Kirby's artistic contributions to such characters as The Incredible Hulk, The Mighty Thor, Spider-Man, Iron Man, the X-Men and the Avengers were works for hire under the 1909 Copyright Act. Accordingly, the Court found notices of copyright termination sent by Kirby's heirs to be invalid and granted summary judgment to Marvel based largely on the written testimony of Stan Lee. The decision is detailed and interesting for students of comic books and those interested in the "instance and expense" test of the 1909 Copyright Act. In Nova Design Build Inc. v. Grace Hotels, LLC, 2011 WL 3084929 (7th Cir. July 26, 2011), the Seventh Circuit considered a case where an architectural design firm registered a copyright in improvements made to a Holiday Inn Express project. The builder got in a dispute with the architectural designer. The builder proceeded to use the plans, and claimed that the contract permitted the use. On summary judgment, the district court ruled for the defendant builder and against the plaintiff designer. First, the court applied the T.B. Harms v Eliscu test to determine subject matter jurisdiction. Since the complaint alleged copyright infringement, the court had subject matter jurisdiction. The builder's allegation that the use was permitted by contact (licensed) was a defense - and defenses do not affect jurisdiction under 28 USC 1331 or 1338. Second, the court overruled the district court's finding that Nova's reconstruction of its computerized designs to support its copyright filing relied on Nova's memory and thus was invalid. Nova's computers had been stolen, so the precise files were unavailable. In overruling, the Seventh Circuit found that Nova's reconstruction was based on hard copies and a meticulous recreation of the plan and that on summary judgment the district court's adverse ruling was not appropriate. On this point, Nova is correct. Indeed, before the digital world made exact copies common, many copies may have had tiny discrepancies in them. There is no hard evidence in the record supporting the district court's speculation that Nova had to resort to the memories of its employees to re-create its designs. And even if there were, Nova has pointed to evidence to the contrary. With the hard copies and the restored CAD files, Nova could meticulously and mechanically piece together a copy of its original designs. Practice Tip: This is a quote that copyright practitioners will want to keep in their back pockets. Third, the Seventh Circuit found that Nova's additions to the Holiday Inn Express plans were not original and thus Nova could not satisfy a key element of copyright infringement. We think that Nova fails at the initial step: it has not identified anything in these particular designs that was original and thus protectable. Nova's designs were, for the most part, based on the Holiday Inn Express prototype. 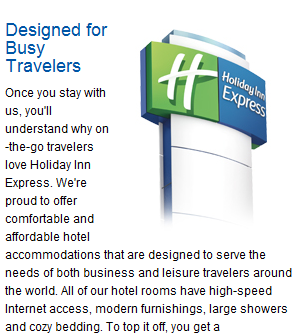 Nova does not assert that it has the right, either through contract or otherwise, to enforce Holiday Inn Express's copyright in its own plans. Instead, Nova protests that it added features to the prototype, such as an extra floor, a larger meeting area, different closet and door placements in the rooms, and different pool, exercise, and laundry areas, but that is not enough. Though Nova's designs do possess added features (and these additions are the only elements that may be protectable), they are devoid of originality. Merely adding an extra floor, identical to the floor layout of the prototype, is not original. The other features Nova mentions were specifically requested by Grace, mostly through written requests accompanied by graphic designs. In light of that, there was no creative element to these features in Nova's designs. See Tiseo Architects, Inc., 495 F.3d at 347 (holding that architectural sketches that incorporated owner's suggestions and drawings, and were limited by zoning requirements, did not possess requisite originality for copyright protection). The aspects of Nova's designs that went beyond the Holiday Inn Express prototype were insufficiently original to qualify for copyright protection, and with that Nova's claim for copyright infringement must fail. The Seventh Circuit thus affirmed the District Court's grant of summary judgment against the plaintiff designer. A short, but important case illustrating how the Seventh Circuit is looking at copyright claims, copyright filings, and demonstrations of originality on a summary judgment motion. Great article on Kennedy Nominees still serving their country from The Federal Lawyer here. Subscribe to The Federal Lawyer here. Join the Federal Bar Association here. Apparently there is some confusion about the Boston Museum of Fine Arts Victoria Reed's role in laundering Nazi-looted art by getting a federal court to shield the MFA from discovery into its provenance research. Let's make it clear: just because a federal judge says heirs have no legal rights to obtain the return of property because the claims are time-barred, doesn't mean property wasn't stolen. To unpack that double-negative, if a judge says heirs can't find out and prove that a painting was stolen because their claims are time-barred, the museum is granted a windfall: a potentially-stolen artwork that no one can reclaim. So the MFA bringing a "declaration of title" action is completely stupid, immoral and unethical because it just means that the MFA has potentially stolen art in its collection that heirs cannot retrieve. Not to mention, an enormous expenditure of resources on legal fees. The end result is that the children of Boston can gawk at a work stolen from a Jew and never know the truth. And the MFA wants to keep it that way. Nice Brahmin values. Because she did not make a demand on the MFA until March 12, 2007, more than three years after her causes of action accrued, summary judgment was properly granted on the MFA's limitations defense. So the Museum of Fine Arts avoided discovery and inquiry into whether the object was stolen by invoking a statute of limitations defense. But the statute of limitations merely affects the REMEDY. It does not give the MFA title, since under the common law, no one can ever take good title from a thief. So the First Circuit's decision simply means that the MFA can thumb its nose at Holocaust victims and try to rewrite the history of Vienna in February 1939 to pretend that the Kokoschka was not stolen from Reichel. This is a use of the law in the service of an evil purpose, it is unethical, immoral and it violates the charitable charter of the MFA, an entity that is subsidized by taxpayer largesse. To clarify: here's an excerpt from the First Circuit opinion, decide for yourself whether the MFA has laundered this piece of stolen art, keeping in mind that Adolph Eichmann had the property of Vienna's Jews in his grasp in February 1939. Conditions for Dr. Reichel and other Austrian Jews rapidly deteriorated following the Anschluss -- the annexation of Austria by the Third Reich in March 1938. Pursuant to Nazi regulations, Dr. Reichel was forced to file a declaration in June 1938 listing all of the valuable property he owned. One expert witness described the declaration as a "prelude to the formal Nazi confiscation and seizure of all Jewish-owned property in Austria and Germany." Proceeds from the sale of declared property had to be deposited into a Nazi-controlled account and could be withdrawn only in limited amounts. 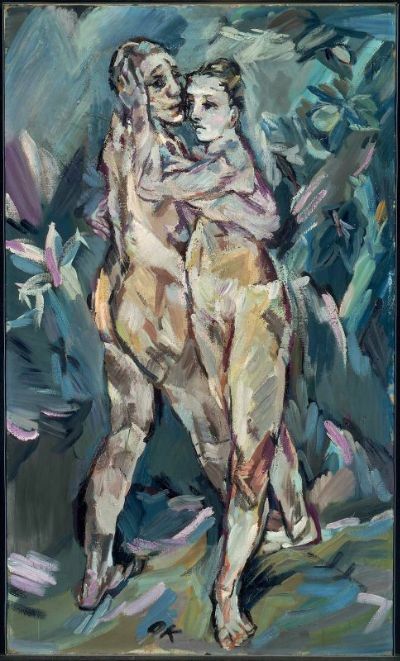 In his 1938 property declaration, Dr. Reichel stated that he owned the Painting and four other Kokoschka works. He declared the combined value of the Painting and another work to be 250 Reichsmark. Around the same time, Kallir, who was also Jewish, transferred ownership of his gallery to his non-Jewish secretary and moved to Paris. While Kallir was in Paris, Dr. Reichel agreed to transfer his remaining five Kokoschka works, including the Painting, to Kallir. The details of this transaction are sketchy. It is not clear whether Dr. Reichel received any consideration for the works at the time. Two contemporaneous notes indicate that Kallir agreed to purchase the five paintings for a total of 800 Swiss francs. However, Dr. Reichel's son Raimund later said that his father arranged for Kallir to send the proceeds of the transaction to another son, Hans, who had already immigrated to the United States. According to Raimund, Kallir sent Hans $250 for the five paintings in 1940 or 1941, and Hans forwarded half that sum to Raimund. The five Kokoschkas, including the Painting, were transferred from Dr. Reichel to a shipping company in Vienna, then exported to Paris. Dr. Reichel and his wife Malvine suffered at the hands of the Nazis. They were forced to close the business Dr. Reichel had founded and to give up their family home and another property. Their eldest son was deported to Lodz, Poland, where he was killed. Malvine was sent to the Theresienstadt concentration camp in 1943, and Dr. Reichel died of natural causes that same year. The two younger sons had emigrated by that time -- Hans to the United States and Raimund to Argentina. Malvine survived the war and eventually joined Hans in the United States. Meanwhile, Kallir had settled in New York, where he opened the Galerie St. Etienne. He brought the Painting with him and sold it to the Nierendorf Gallery for $1,500 in 1945. The Nierendorf Gallery then sold the Painting to the E.A. Silberman Galleries, which in turn sold the Painting to Sarah Reed Blodgett in 1947 or 1948. Blodgett kept the painting for many years, lending it out for exhibitions from time to time. She eventually bequeathed the Painting to the MFA, which acquired possession in 1973. *fn4 The Painting has been on almost continuous display at the MFA since then, though it has been loaned out many times for exhibitions in the United States and around the world. 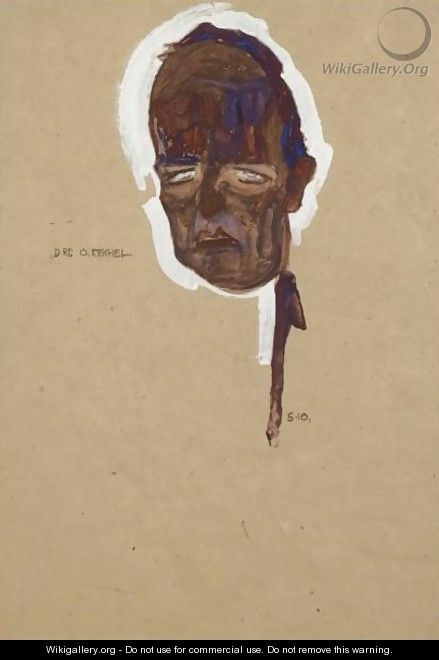 Seger-Thomschitz says that she "first learned that the Nazis confiscated artworks from Oskar Reichel in the Fall of 2003 when the Museums of Vienna contacted her concerning their intent to return to her as the sole heir of Oskar Reichel four artworks in their collection by the artist Anton Romako . . . ." The restitution of the Romako works was pursuant to a municipal resolution that Vienna had passed in 1999, which in turn implemented a 1998 national art restitution law. One municipal document notes that "it seemed quite proper" to return the works to Seger-Thomschitz because Dr. Reichel "had to sell [them] due to his persecution as a Jew." Notably, Dr. Reichel appears to have sold the Romako works around the same time that he sold the Painting, and under similar circumstances. He sold three of the four Romakos to the Neue Gallery in 1939 "for only small equivalent amounts," and he sold the fourth to the Neue Gallery in 1942. The gallery, by then under the direction of Otto Kallir's former secretary, subsequently sold the Romakos to the city. Following her correspondence with the Museums of Vienna, Seger-Thomschitz retained a Viennese attorney, Erich Unterer -- who had also been Raimund Reichel's attorney -- "for purposes of handling the restitution of any artworks that Oskar Reichel may have lost due to Nazi persecution." Seger-Thomschitz and Unterer initially thought that all of the artwork Dr. Reichel lost during the Nazi era had been returned. In 2006, however, an American attorney "began a colloquy" with Seger-Thomschitz and alerted her to the possibility that other works formerly owned by Dr. Reichel might be located outside Austria. Seger-Thomschitz retained the attorney, whose firm then sent a letter to the MFA on March 12, 2007, demanding the return of the Painting. When confronted with Seger-Thomschitz's claim to the Painting, the MFA undertook "an exhaustive effort to research and document the provenance of the Painting in order to ascertain whether the claim . . . appeared valid or not." An MFA curator and an independent provenance researcher spent eighteen months researching the Painting's history, during which time they visited approximately ten museums and governmental archives around the world and corresponded with numerous other museums and archives. Based on that research, the MFA concluded that the original transfer of the Painting from Dr. Reichel to Kallir was valid and that it would retain the Painting in its collection. It commenced an action against Seger-Thomschitz in the United States District Court for the District of Massachusetts on January 22, 2008, seeking a declaratory judgment to "confirm its rightful ownership of the painting." Seger-Thomschitz answered the complaint in May of that same year and asserted counterclaims for conversion, replevin, and other state law causes of action. The MFA declined to allow Victoria Reed, the museum's curatorial research fellow for provenance who conducted the nine-month study of the history of the Kokoschka painting, to comment. It also would not release detailed materials from her report, saying, "The results of the museum's research are clearly outlined in its legal filing, which is publicly available and was shared with the Boston Globe." What museum conducts eighteen months of research into a provenance that allegedly clears its title and then HIDES THE EVIDENCE? More on MFA's misdeeds here. Not content to remain under her rock, Reed seems now to crave media attention for her occult activities. A creepy puff piece where Reed brags of her furtive investigations and unpublished research here. The writer refers to the MFA's payment (in lieu of returning the stolen work) as "rare preemptive compensation". That's double-talk. When the Austrians did it to Jews post-WWII to keep valuable pieces in Austrian museums, we have rightly deemed it extortion. When the MFA does it, it is called "rare preemptive compensation". More on Oskar Reichel here. "If you're looking for certainty, fair use is not going to help you sleep at night." Ars Technica has published an excellent interview with Maria Pallante, the new Register of Copyrights here. If you want to know where copyright law is going, it is important to follow the activities of the Register of Copyrights whose activities and views carry extraordinary weight in shaping U.S. copyright policy. More on the office of the Register of Copyrights here. 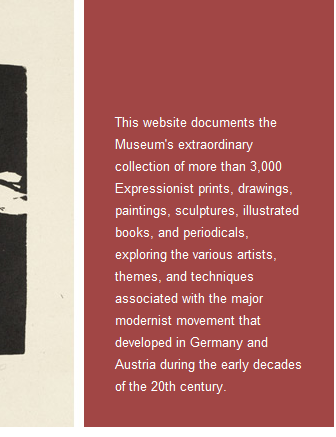 I reported previously that the MoMA published a catalog called German Expressionism:The Graphic Impulse by Starr Figura that COMPLETELY eliminated mention of Alfred Flechtheim. MoMA has perpetrated the fiction that Alfred Flechtheim's gallery was not Aryanized in 1933 because MoMA wishes to shield its collection, particularly the items that were stolen from Alfred Flechtheim, from public scrutiny. More information on the Nazi taking of Flechtheim's inventory here. 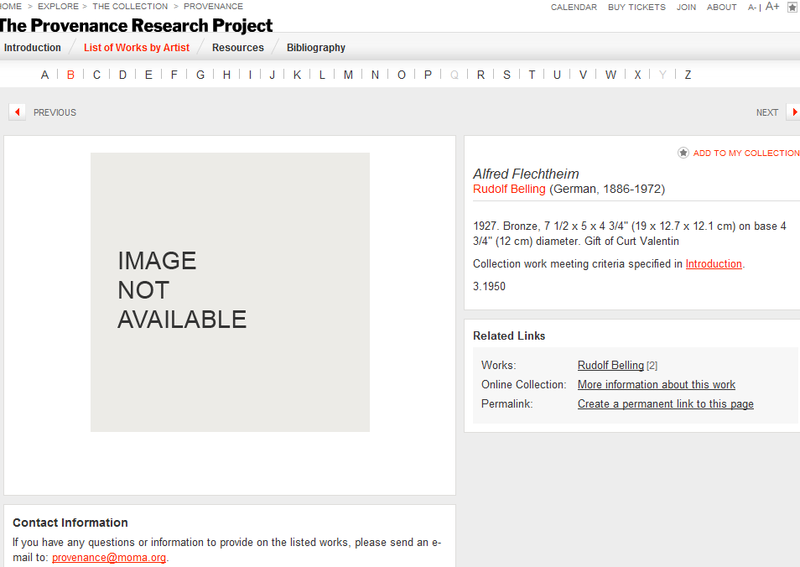 MoMA's website does not even show an image of Belling's Portrait of Alfred Flechtheim, and the MoMA has never told the story of Flechtheim's role as a Nazi persecutee story here. 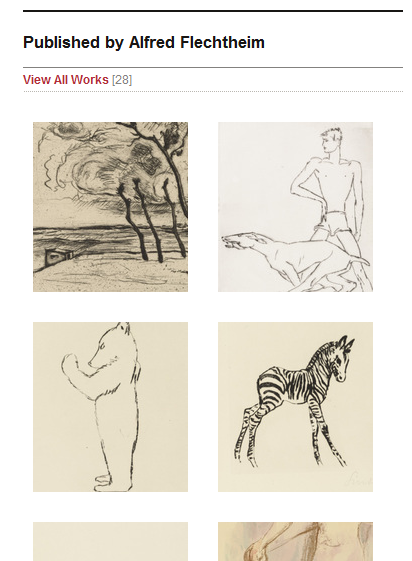 That's just completely ridiculous, MoMA's collection has many more works from Flechtheim's 1933 inventory. As I argued here the provenance of Paul Klee's Pastorale shows that it was likely taken by the Nazi Alexander Voemel from Flechtheim in 1933. Collection work meeting criteria specified in Introduction. Alfred Flechtheim opened his gallery in 1913, with sponsorship from Paul Cassirer. Became known as the leading dealer in Germany for modern French art, much of it obtained through his friend Daniel-Henry Kahnweiler, the eminent Parisian gallerist and German émigré. Despite his ambivalence toward contemporary German art, eventually also exhibited a select number of Expressionist, Bauhaus, and Neue Sachlichkeit (New Objectivity) artists, including Ernst Barlach, Max Beckmann, George Grosz (under contract from 1925 to 1931), Paul Klee (whom he represented from 1927 to 1933), Oskar Kokoschka, Wilhelm Lehmbruck, and August Macke. Published prints by Grosz, Else Lasker-Schüler, Ludwig Meidner, and many other now less familiar German artists. In 1921 began to issue the cosmopolitan art and culture periodical Der Querschnitt; three years later, sold it to the publishing house Propyläen. Highly successful, particularly in the postwar years, moved his primary operation to Berlin in 1921, and opened branches in Frankfurt and Cologne in 1922. A victim of Nazi anti-Semitism, was forced to emigrate in 1933, and died, impoverished, in London in 1937. Jentsch, Ralph. Alfred Flechtheim und George Grosz. Bonn: Weidle, 2008. Peters, Hans Albert, and Stephan von Wiese, eds. Alfred Flechtheim, Sammler, Kunsthändler, Verleger. Exh. cat. Düsseldorf: Kunstmuseum Düsseldorf, 1987. So it looks like MoMA's website is trying to make it look as if Starr Figura, the one who wrote the catalog that eliminated any mention of Flechtheim, actually did include mention of Flechtheim, but MoMA hired Iris Schmeisser to write the Website's description of Flechtheim. Alfred Flechtheim's influence on MoMA in its first year of existence was tremendous and remains undocumented by MoMA's pseudo-art historians. Why doesn't MoMA acknowledge its intellectual and artistic debt to Flechtheim? And what happens to someone who writes a catalog on German Expressionism who calls Flechtheim AMBIVALENT towards German contemporary art when indeed he was perhaps one of its greatest champions? 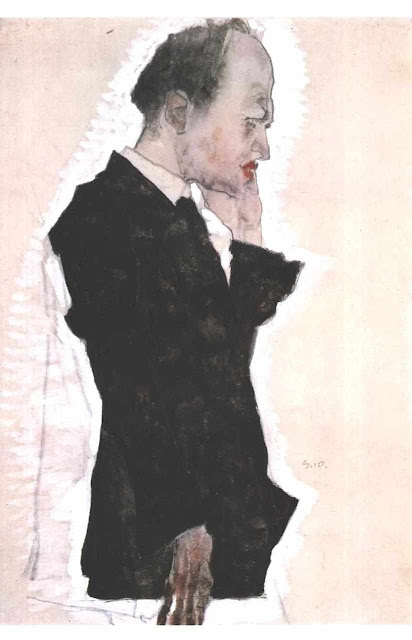 Just look at Rudolph Belling's portrait of Alfred Flechtheim, one of which he gave to Harvard to launch what became the Busch-Reisinger collection. Does that reflect AMBIVALENCE toward German contemporary art? 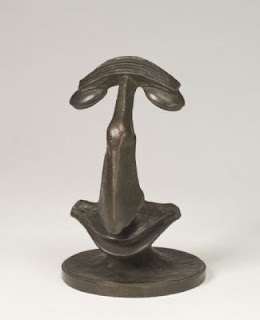 Why is Belling's sculpture featuring Flechtheim's nose not front and center in the German Expressionism exhibit? Where the hell is Flechtheim's nose? Why won't MoMA photograph and exhibit this artwork? 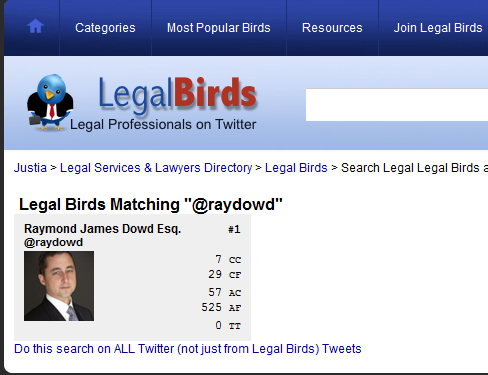 Visit Copyright Litigation Blog and check out the new search tool on the top right hand side - a convenient way to search through old posts. 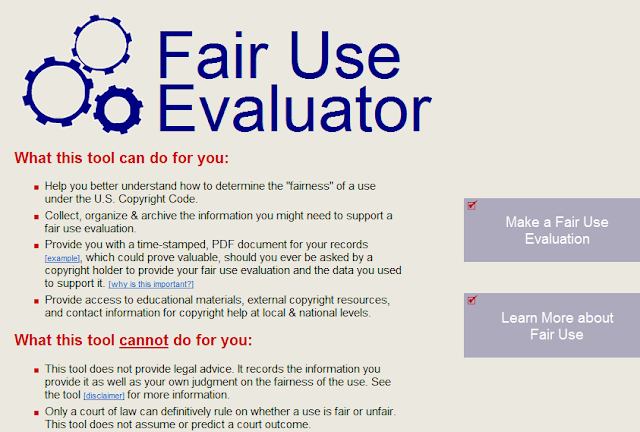 Fair Use Fridays: Copyright Professors To Academia: "Flex Your Fair Use Muscles!" itself just. In a world where technology makes so much content available for educational use, the copyright laws that were originally conceived to promote education are instead often routinely applied to inhibit it. Unequal access to counsel and profound disparities in the content available on campus exacerbate the problem. copyright is intrinsically entwined with public access. S. 978 is a reckless attempt to attack online streaming by focusing on the "unlawful public performance" area of copyright law. By increasing the criminal penalties for certain online public performances, the bill will impose a chilling effect around the posting and creation of online video. Moreover, it will hamper the pace of innovation as users, websites, and investors cope with the uncertainty of running afoul of one of the more vague sections of copyright law. Act now and tell your Senators to oppose this shortsighted bill! Under certain conditions, an "unlawful public performance" of a copyrighted work is already a crime. But this bill targets online streaming in an effort to give the government more enforcement power to bear—particularly against websites that the entertainment industry believes to be threatening. To amend the criminal penalty provision for criminal infringement of a copyright, and for other purposes. SECTION 1. Criminal infringement of a copyright. “(2) the terms ‘reproduction’, ‘distribution’, and ‘public performance’ refer to the exclusive rights of a copyright owner under clauses (1), (3), (4), and (6), respectively of section 106 (relating to exclusive rights in copyrighted works), as limited by sections 107 through 122, of title 17;”. (B) in subparagraph (B), by inserting “or public performance” after “distribution”. Brett Langdon Gibbs, Steele Hansmeier, PLLC, Mill Valley, CA, for Plaintiff. DONNA M. RYU, United States Magistrate Judge. *1 Plaintiff Pacific Century International, Ltd. (“Plaintiff”) moves the court ex parte pursuant to Federal Rules of Civil Procedure 26 and 45 for leave to take expedited discovery so that it may unearth the identities of the as-of-yet unnamed defendants (“Defendants”) in this action. For the reasons provided below, the court grants Plaintiff's motion in part, severs Defendants Does 2–101 from this action, and orders that the claims against Does 2–101 be dismissed due to improper joinder. Although in the Ninth Circuit courts disfavor exceptions to the general rules of discovery, Columbia Ins. Co. v. Seescandy.com, 185 F.R.D. 573, 577 (N.D.Cal.1999) (citing Gillespie v. Civiletti, 629 F.2d 637, 642 (9th Cir.1980)), a court will grant a motion for expedited discovery “upon a showing of good cause,” Am. Legalnet, Inc. v. Davis, 673 F.Supp.2d 1063, 1066 (C.D.Cal.2009) (quoting In re Countrywide Fin. Corp. Derivative Litig., 542 F.Supp.2d 1160, 1179 (C.D.Cal.2008)) (quotation marks omitted); accord Semitool, Inc. v. Tokyo Electron Am., Inc., 208 F.R.D. 273, 275 (N.D.Cal.2002), unless the court finds that discovery “would not uncover [the defendants'] identities, or that the complaint would be dismissed on other grounds.” Gillespie, 629 F.2d at 642 (citations omitted). Good cause exists where “the need for expedited discovery, in consideration of the administration of justice, outweighs the prejudice to the responding party.” FN1 Am. Legalnet, Inc., 673 F.Supp.2d at 1066 (quoting In re Countrywide Fin. Corp. Derivative Litig., 542 F.Supp.2d at 1179) (quotation marks omitted); accord Semitool, Inc., 208 F.R.D. at 276. The court must perform this evaluation in light of “the entirety of the record ... and [examine] the reasonableness of the request in light of all the surrounding circumstances.” Semitool, Inc., 208 F.R.D. at 275 (citation & quotation marks omitted) (emphasis removed); see Am. Legalnet, Inc., 673 F.Supp.2d at 1067. In this particular context, the court must balance “the need to provide injured parties with an [sic] forum in which they may seek redress for grievances” against “the legitimate and valuable right to participate in online forums anonymously or pseudonymously .... without fear that someone who wishes to harass or embarrass them can file a frivolous lawsuit and thereby gain the power of the court's order to discover their identity.” Columbia Ins. Co., 185 F.R.D. at 578; see also London–Sire Records, Inc. v. Doe 1, 542 F.Supp.2d 153, 163 & nn. 10–11, 179 (D.Mass.2008) (noting that even copyright infringing file downloading entitled to degree of First Amendment protection) (holding that court must consider “the expectation of privacy held by the Doe defendants, as well as other innocent users who may be dragged into the case (for example, because they shared an IP address with an alleged infringer. )” (citation omitted)); Sony Music Entm't, Inc. v. Does 1–40, 326 F.Supp.2d 556, 564 (S.D.N.Y.2004). FN1. The court notes that due to the necessarily ex parte nature of Plaintiff's motion, Plaintiff faces no adversaries to fully expound on the prejudices that Defendants may face if the court grants Plaintiff expedited discovery. However, other measures to at least partially compensate for this inequity are at the court's disposal. See, e.g., Brief for Amici Curiae at 3, 18–19, Call of the Wild Movie, LLC v. Does 1–358, No. 10–CV–455 (D.D.C. Jan. 3, 2011) (recommending that courts order ISPs to notify customers of impending subpoenas so that customers have opportunity to quash); see also Doe v. 2TheMart.com, 140 F.Supp.2d 1088, 1097 (W.D.Wash.2001) (granting motion to quash subpoena seeking identities of non-party anonymous posters to Internet chat room). *2 Plaintiff has shown good cause to partake in limited expedited discovery. First, without issuing subpoenas to the ISPs at this time, Plaintiff will “have no other way to obtain this most basic information,” Defendants' identities, without which the lawsuit cannot proceed. UMG Recordings, Inc. v. Does 1–4, No. 06–652, 2006 WL 1343597, at *1 (N.D.Cal. Apr.19, 2006) (not reported in F.Supp. ); accord Diabolic Video Prods., Inc. v. Does 1–2,099, No. 10–CV–5865, at *4–5 (N.D.Cal. May 31, 2011) (order granting in part motion for leave to take limited discovery prior to Rule 26(f) conference); Io Group, Inc. v. Does 1–435, No. 10–4382, at *1 (N .D.Cal. Oct. 15, 2010) (order granting plaintiff's request for leave to take early discovery); Semitool, Inc., 208 F.R.D. at 276. ( Accord Hansmeier Decl. ¶ 21; Gibbs Decl. ¶ 2.) Furthermore, there exists a high risk that the ISPs may destroy the information Plaintiff seeks and thereby preclude Plaintiff from discovering Defendants' true identities. UMG Recordings, Inc., 2006 WL 1343597, at *1. ( Accord Hansmeier Decl. ¶ 22; Gibbs Decl. ¶ 5.) Finally, copyright infringement claims “necessarily involve[ ] irreparable harm to Plaintiff[ ], as a copyright holder is presumed to suffer irreparable harm as a matter of law” when the ambit of its copyright is invaded. UMG Recordings, Inc., 2006 WL 1343597, at * 1. Nevertheless, the court grants Plaintiff expedited discovery only in part because the court dismisses the complaint against all but Doe 1 for improper joinder. See Gillespie, 629 F.2d at 642. Rule 20 of the Federal Rules of Civil Procedure, in relevant part, permits a plaintiff to join multiple defendants into one action if “(A) any right to relief is asserted against them ... arising out of the same transaction, occurrence, or series of transactions or occurrences; and (B) any question of law or fact common to all defendants will arise in the action.” Fed.R.Civ.P. 20(a)(2). When determining whether defendants are joined properly, the court should “liberally construe[ ] [the requirements] in the interest of convenience and judicial economy in a manner that will secure the just, speedy, and inexpensive termination of the action.” Call of the Wild Movie, LLC v. Does 1–1,062, No. 10–455, 2011 WL 996786 (D.D.C. Mar.22, 2011) (citation & quotation marks omitted); see United Mine Workers of Am. v. Gibbs, 383 U.S. 715, 724, 86 S.Ct. 1130, 16 L.Ed.2d 218 (1966); Diabolic Video Prods., Inc., No. 10–CV–5865, at *5. If defendants do not satisfy the test for permissive joinder, the court may sever the misjoined parties, “so long as no substantial right will be prejudiced by the severance.” Coughlin v. Rogers, 130 F.3d 1348, 1350 (9th Cir.1997) (citation omitted); see Fed.R.Civ.P. 21 (“Misjoinder of parties is not a ground for dismissing an action.”). Attempts to join numerous defendants in a single action for copyright infringement over P2P networks historically have failed. For example, in Interscope Records v. Does 1–25, No. 4–CV–197, 2004 U.S. Dist. LEXIS 27782 (M.D.Fla. Apr. 1, 2004) (not reported in F.Supp. ), and Elektra Entertainment Group, Inc. v. Does 1–9, No. 04–Civ–2289, 2004 WL 2095581 (S.D.N.Y. Sept.8, 2004) (not reported in F.Supp. ), courts found misjoinder when plaintiffs brought suit against multiple defendants for downloading copyrighted materials using the Fast Track P2P network. Fast Track “allows users to have their computers function as an interactive Internet site, disseminating files for other users to copy.” Elektra Enter. Group, Inc., 2004 WL 2095581, at * 1. An individual accessing the Fast Track network thus may download an entire file directly from another user's computer. See id. The Interscope Records and Elektra Entertainment Group courts held that the respective complaints fell afoul of Rule 20(a)(2)(A) because they claimed only that the defendants used Fast Track to perform their illegal downloads and did not suggest that the defendants engaged in the same transaction, occurrence, or series of transactions or occurrences. 2004 U.S. Dist. LEXIS 27782, at *10, 2004 WL 2095581, at *7. Notably, the Interscope Records court suggested that a showing that a defendant downloaded protected works from another defendant “could conceivably link” them for joinder purposes. 2004 U.S. Dist. LEXIS 27782, at *10. This scenario also arose in cases involving the P2P network Gnutella. In Fonovisa, Inc. v. Does 1–9, the court granted severance to a defendant who claimed misjoinder because the “Plaintiffs have failed to allege any facts tending to show that one or more of the Defendants has actually downloaded songs from another Defendant, which could conceivably link the Defendants or show they acted in concert[;]” the plaintiffs simply alleged that the defendants had used the same P2P network. No. 07–1515, 2008 WL 919701, at *5–6 (W.D.Pa. Apr.3, 2008) (not reported in F.Supp.). Suits against users of the more sophisticated P2P network eDonkey2000 faced the same obstacles. In Io Group, Inc. v. Does 1–435, the court stated that the complaint contained “no factual allegations to support the assertion that the Does defendants are connected to the same transaction, occurrence or series of transactions or occurrences, or any facts that show they specifically acted in concert,” and therefore severed the defendants. No. C–10–4382, 2011 WL 445043, at *3 (N.D.Cal. Feb.3, 2011); accord Io Group, Inc. v. Does 1–435, No. C–10–4382, 2011 WL 1219290 (N.D.Cal. Jan.10, 2011). First, the protocol breaks a single large file into a series of smaller distributable pieces. Then, an initial file-provider (the “seeder”) intentionally elects to distribute the pieces to third parties.... Other users (“peers”) on the network download a small “torrent” file that contains directions on where to find the seeder as well as an index of the pieces. The torrent file is loaded into BitTorrent software, and the software follows the directions in the torrent file to connect to the seeder. When peers connect to the seeder, they download random pieces of the file being seeded. When a piece of download is complete, the peers automatically become seeders with respect to the downloaded pieces. In other words, each peer in a swarm transforms from a pure downloader ... to a peer that is simultaneously downloading and distributing pieces of a file. (Pl. 's Mot. 15–16 (citing Hansmeier Decl. ¶¶ 4–10) (internal citations omitted).) For example, an initial “seeder” may upload a low definition file of an episode of a television show that she enjoys, which the BitTorrent protocol divides into tiny pieces. Other users who wish to obtain this low definition version will begin downloading pieces of the file until they have a complete version. Users who successfully have downloaded pieces of the file will commence “seeding” them to other users as they download the remainder of that file. Eventually, numerous users come to download and/or distribute pieces of the file with each other. Together, these individuals constitute a “swarm”—users seeding and/or downloading the specific file. According to Plaintiff, it is this swarming capability that sets BitTorrent apart from the more limiting, individual-to-individual nature of earlier P2P platforms. However, Plaintiff glosses over the fact that BitTorrent users may upload different initial files of a given work, which results in the creation of distinct swarms. See Lin Ye et al., A Measurement Study on BitTorrent System, 3 Int'l J. Comm, Network & Sys. Sci 916, 916 (2000); see also Ankur Patel, Comment, BitTorrent Beware: Legitimizing BitTorrent Against Secondary Copyright Liability, 10 Appalachian J.L. 117, 119 (2011). Turning back to the example above, a second initial “seeder” may not enjoy television shows in low definition and instead decide to upload a high definition file of the same episode for distribution. Notably, because of the differences between the first, low definition file and the second, high definition file, the participants in the first swarm would not interact with those in the second swarm. ( See Hansmeier Decl. ¶ 9 (noting that swarms develop around originally seeded file, as opposed to a particular work ).) That BitTorrent users have downloaded the same copyrighted work does not, therefore, evidence that they have acted together to obtain it. *4 Because of this fundamental constraint on the collaboration between copyright infringers using the BitTorrent protocol, the court finds that Plaintiff cannot meet the permissive joinder requirement of Rule 20(a)(2)(A).FN2 Although Plaintiff explains the protocol and how it differs from its predecessor P2P programs, and specifically claims that Defendants have engaged in a civil conspiracy (Compl.¶¶ 32–39), Plaintiff still has failed to demonstrate that it has “any right to relief against [Defendants] .... arising out of the same transaction, occurrence, or series of transactions or occurrences.” Fed.R.Civ.P. 20(a)(2)(A). This deficiency proves fatal to Plaintiff's attempt to join Defendants because the only commonality between copyright infringers of the same work is that each “commit [ted] the exact same violation of the law in exactly the same way.” LaFace Records, LLC v. Does 138, No. 07–CV–298, 2008 WL 544992, at *2 (E.D.N.C. Feb. 27, 2008) (not reported in F.Supp.) (citation & quotation marks omitted); accord Diabolic Video Prods., Inc., No. 10–CV–5865, at *6 (“[T]he mere allegation that defendants have used the same peer-to-peer network to infringe a copyrighted work is insufficient to meet the standards for joinder set forth in Rule 20.”). The court therefore severs Defendants Does 2–100 from this action. Fed.R.Civ.P. 21; see Coughlin, 130 F.3d at 1350. FN2. Because the court makes its ruling on the first prong of the permissive joinder test, it need not address the second prong. Moreover, the court does not touch on other critical questions, such as whether joinder of Defendants “would prejudice any party,” “result in needless delay,” Call of the Wild Movie, LL C, 2011 WL 996786, at *4 (citing Lane v. Tschetter, No. 05–1414, 2007 WL 2007493, at *7 (D.D.C. July 10, 2007); M.K. v. Tenet, 216 F.R.D. 113, 138 (D.D.C.2002)); see BMG Music v. Does 1–203, No. 04–650, 2004 WL 953888, at *1 (E.D.Pa. Apr.2, 2004) (not reported in F.Supp. ), or impair the administrative efficiency of the Court. See id. at 6 (citing London–Sire Records, Inc., 542 F.Supp.2d at 161). It also does not address whether the court may exercise personal jurisdiction over Defendants. See GTE New Media Servs., Inc. v. BellSouth Corp., 199 F.3d 1343, 1349–50 (D.C.Cir.2000); Block Indus. v. DHJ Indus., Inc., 495 F.2d 256, 259 (8th Cir.1974). For the reasons above, the court ORDERS that Plaintiff's Motion for Ex Parte Application for Leave to Take Expedited Discovery is GRANTED IN PART; it is further ORDERED that Defendant Does 2–100 are SEVERED from this action; and it is further ORDERED that Plaintiff's claims against Defendants Does 2–100 be DISMISSED without prejudice for improper joinder. Moreover, it is hereby ORDERED that Plaintiff is allowed to serve immediate discovery on Doe 1's ISP by serving a Rule 45 subpoena that seeks information sufficient to identify Doe 1, including the name, addresses, telephone numbers, and email addresses of Doe 1. The subpoena shall include a copy of this order. It is further ORDERED that the ISP will have 30 days from the date of service upon it to serve Doe 1 with a copy of the subpoena and a copy of this order. The ISP may serve Doe 1 using any reasonable means, including written notice sent to Doe 1's last known address, transmitted either by first-class mail or via overnight service. The ISP and Doe 1 each shall have 30 days from the date of service to file any motions in this court contesting the subpoena (including a motion to quash or modify the subpoena). If that 30–day period lapses without Doe 1 or the ISP contesting the subpoena, the ISP shall have 10 days to produce to Plaintiff the information responsive to the subpoena with respect to Doe 1. It is further ORDERED that the ISP shall not assess any charge to Plaintiff in advance of providing the information requested in the subpoena, and that the ISP that receives a subpoena and elects to charge for the costs of production shall provide a billing summary and cost reports that serve as a basis for such billing summary and any costs claimed by the ISP. *5 It is further ORDERED that the ISP shall preserve all subpoenaed information pending the ISP's delivering such information to Plaintiff or the final resolution of a timely filed and granted motion to quash the subpoena with respect to such information. It is further ORDERED that Plaintiff may use any information disclosed in response to a subpoena solely to protect its rights under the Copyright Act, 17 U.S.C. § 101 et seq. To the extent that this order may be dispositive, the court does not require the consent of Defendants because they have not been served and therefore are not parties under the meaning of 28 U.S.C. § 636(c). See Ornelas v. De Frantz, No. 00–1067, 2000 WL 973684, at *2 n. 2 (N.D.Cal. June 29, 2000) (citing Neals v. Norwood, 59 F.3d 530, 532 (5th Cir.1995)). Related mostly with financial/accounting/tax in USA, and have to check on a daily basis. Lawyers, law firms, and legal professionals distributing content on the @JDSupra network. Folks that tweet about journalism, media, and Amendment 1. This is a random list of critics, bloggers, artists and media that tweet about art. Anyone who produces Audio and/or Video content. In Marchig v. Christie's, 11-461-cv (July 12, 2011)(summary order), a plaintiff consigned an artwork to Christie's in 1997 she thinks it was painted by Michelangelo's tutor. Christie's tells her it is a nineteenth-century German work. Christie's advises her to change the frame, then sell it. She ok's the sale, but says nothing about the frame. Christie's sells the painting in 1998 for $21,850. In 2009 Christie's tells her it is probably a work by Leonardo da Vinci. She sues in 2010, claiming the work is worth $150 million. A short, informative and Solomonic opinion on the law of consignments, sales, and authentication claims. Result: claim against the painting is time-barred, but the Second Circuit reversed and remanded, holding that the claim for the return of the frame was timely. More on YouTube copyright school here.